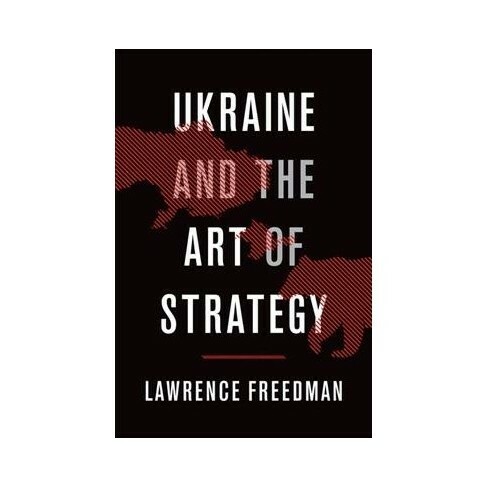 In his recent book Ukraine and the Art of Strategy, which was released this past February, Lawrence Freedman attempts to challenge these narratives, and in the process he throws into relief the sheer difficulty of practicing strategy. The book, which coalesced out of a collection of essays written by Freedman on the Ukraine crisis, is slim by Freedman’s standards, sitting at just about 185 pages without endnotes. He begins with a broad theoretical discussion of deterrence, limited war, and the general principles of strategy. This introduction sets the tone for the case study which follows, divided into three parts and analyzed respectively: the run-up to the Euromaidan protests, Russia’s annexation of Crimea and the war in Donetsk and Luhansk, and finally the modern nature of the conflict in the context of developments in Syria, the United States and elsewhere. Throughout both sections he evaluates Russian and Ukrainian strategic moves with an uncompromising eye, highlighting deficiencies and shortcomings in each side’s approach. This analysis is in line with Freedman’s thesis that, while we often look to magnificent coups and stories of strategic genius, Napoleons, Bismarcks, and Eisenhowers are rare in the course of history. More often practitioners of strategy are deeply flawed in their analyses, and conflicts usually end in attritional standoffs rather than total victories. Freedman argues Ukraine as evidence of a protracted struggle with little opportunity for strategic genius to shine. This challenge, he claims, is just as important to study as any other conflict, or perhaps even more significant given the dearth of scholarship on the role of attrition in strategy. Yet while the story Freedman presents lacks the flashes of genius which typically lend appeal to other works of strategy, the book’s narrative is no less captivating and a welcome change in Freedman’s writing from the broad surveys conducted in Strategy and The Future of War. Nevertheless if one is looking for a comprehensive history of the Maidan and the events that followed, Ukraine and the Art of Strategy is likely to disappoint. While it deals admirably with some of the finer-grained details of the conflict, such as the battle for Donetsk Airport, which tend to be left by the wayside in most mainstream narratives, overall the book reads like a case study in support of Freedman’s broader theory. In this respect the book could easily be seen as a chapter of a larger work, more focused on proving his assertions than generating unique insights of its own. However, this is certainly not to say the book is without merit, and indeed Freedman’s writing offers a refreshing new take on strategic studies. In many ways contrary to the writings of authors such as John Lewis Gaddis, Freedman does not believe strategy can ever truly be about the ends. Rather, as the “art of creating power,” it is moreso about responding to crises in a way which leads to a better, or less bad situation. Rarely if ever do even the greatest strategists ever truly get from point A to point B. Rather theirs is a story of countless intermediate steps, readjustments and calculations brought on by sudden changes of circumstances and capabilities. Often goals change as the situation develops, and at times what may be desirable for the long term is simply not practical based on short-term needs. The story of Ukraine, he argues, teaches us of the difficulty inherent in executing one’s grand designs. Russia, for instance, may desire to regain its global superpower status, but its actions in Ukraine, Syria, and cyberspace were not necessarily motivated by a strategic script, but attempts to manage crises as they emerged. These attempts have not necessarily always been effective either. Take the annexation of Crimea for instance. If Putin wished to strengthen Russo-Ukrainian ties as he had before the ousting of Yanukovych, annexation not only prevented the most pro-Russian region from participating in Ukrainian politics, but turned popular opinion within Ukraine overwhelmingly against Russia. Similarly the war in Donetsk and Luhansk can be viewed as a serious miscalculation made under the fallacy of a decisive first move. Rather than being another Crimea, the eastern provinces have become a grinding, frozen conflict in which neither side has much chance of victory or even an opportunity to extricate itself effectively. Meanwhile Russia has become burdened by sanctions and international condemnation as it remains shackled to economically deficient occupied territories whose goals are not always in line with those of Moscow. Ultimately, the reader can only draw so much from a singular case study, yet Freedman may very well have paved the way for future discussion of not just where strategies succeed, but also where they fail, either in whole or in part. This is of particular importance especially as modern conflicts appear to be increasingly characterized not by flashes of inspired performance, but muddle and repeated setbacks.